It looks like Kristiansund will have a record number of cruise calls in 2012... as per today, there are already 8 ships booked. So, do you have a list of names, 'Galaxy'?????? Waiting like a child waiting for Christmas!!!! Last edited by Sterkoder; February 20th, 2011, 22:43. 17.07 : Lisboa ---------> Is cancelled. Last edited by Galaxy; January 3rd, 2019, 15:03. 'Galaxy', where do you have your info from? Is this a tentative list, or is it 'the' list for 2012..? Last edited by Sterkoder; February 21st, 2011, 00:49. Hmmmm... not much to shout "jippii" about, yet, but, hopefully, it's a bit early. I hope the trend for other ports in Norway is not the same: declining. This year, Trondheim has only harvested some 40+ calls, and I do not call that successful marketing at all. Too many sail passed this medieval town, and that is a pity. Cruise calls in Norway comes in waves... some years they are really high, then the market will withdraw for some years before they make a massive return again. The market always changes, but I'm confident we should be able to get more ships on a regular basis, also in other seasons than summer. I really hope that the list for 2012 in Kristiansund is tentative, and that a few more visits will add as we move forward in 2011. What I want is huge spectacular vessels inside our harbour....., Norwegian Jade (or similar), QE, QM QV or something, Disney Magic, Marco Polo, or any other old classic left. I'm sort of "tired" of the small and "straight forward" vessels like Astoria, Amadeus, Astor, Braemar or what they are called all. You know what I mean. Rest asured, you are all very welcome to Kristiansund, and I will as always take time off from work to take your pictures by the dusin....!!! (The reason for me writing what I did above, is purely based on the "lust" for new photographic objects, as I'm now close to takeing pictures of the same vessels year after year after year after year after year after year after year afzzzzzzzzzzzzzzzzzzzzzzzzzzzzzzzzzzzzzzzzzzzzzzzz zzzzzzzzzzzzzzzzz....). 'Galaxy', I can't thank you enough for bringing this list, I'm thankful to you! It's not you who bore me obviously, as it's not you who sign up the contracts on which ships are to visit Kristiansund. And as I just said in my last post above, I will still take pictures of all cruiseships in harbour, I will try to find new angles and make it a bit more interesting, and as I also said, I will even take time off work to get my pictures. I'm forever greatful for you taking time updating the lists!!! The cruise companies and travel agents are very interested to incorporate the opera 'Donna Bacalao' in their programme for 2012!!!!! I'm very pleased with that info, and as 'Galaxy' already told us, the two vessels for the time being booked around the time of the opera are "Boudicca" and "Braemar". I really hope for many more, both for the opera and for other activities in the summer of 2012! Never heared of 'Donna Bacalao'?? It's a story about the clipfish business on which Kristiansund is built and why the city got its city status back in 1742. (Remarkably they haven't managed to make it in english, but if you want to look and listen, click on the words 'Lyd og Bilde' ). The link say the opera will play in 2011 from 31. August to 3. September, but that is not valid. The opera will take a pause this year. i will keep going look for more calls. Which ship cancelled? (I don't remember the original list). Well, the thing is, Destination Kristiansund and Nordmøre is working tight with the Opera in Kristiansund and cruise companies to offer something for winter tourists. This might lead to visits from cruise ships in the winter season in Kristiansund, and I know the talks go on with Saga Cruises and Fred. Olsen. What can you tell me here, 'Galaxy'...? Last edited by Galaxy; June 4th, 2011, 01:24. 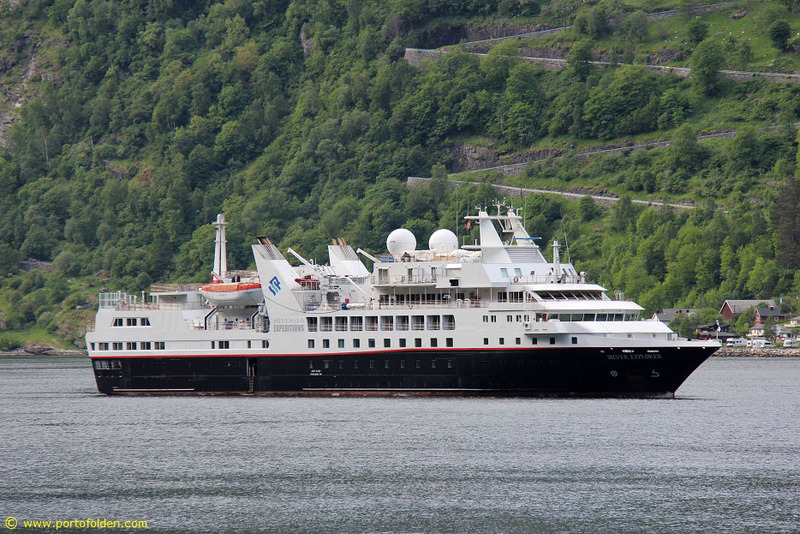 Interesting to see that the talks between the Destination Kristiansund, the Opera in Kristiansund and cruise companies are growing fruits, so to speak...., as "Boudicca" will visit Kristiansund during the Opera Festival Weeks in February 2013. But they are welcome...., you hear welcome!!! (Thank you 'Galaxy', for any update to the KSU Cruiselist 2012...., and beyond, if you hear anything!! Gladly I'm aware of the 2013 "Boudicca" visit of course).